A Corporate Catering can be a meeting or an anuual function for employees and clients. 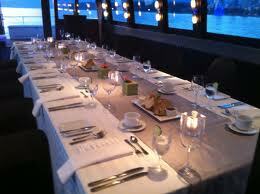 Or may be an Executive Corporate Caterers in Mumbai Meal or a Seminar. Importance of good food now is not only a concern of an individual but Corporate Catering services in Mumbai as a whole started acknowledging the importance of it for the sake of their employees' health. However arranging fresh and healthy food for the large groups of employees is not a small task. And to fill in this gap,Muthuswamy is there. In addition to our healthy tiffin services, Muthuswamy also provides contract catering services at the corporate Catering Services across the Mumbai and Corporate Caterers in Mumbai. It can also be a Award Function or annual meet. We understand this and we know how much it is important for you and how to take care of your prestige. We give you the best of our services.